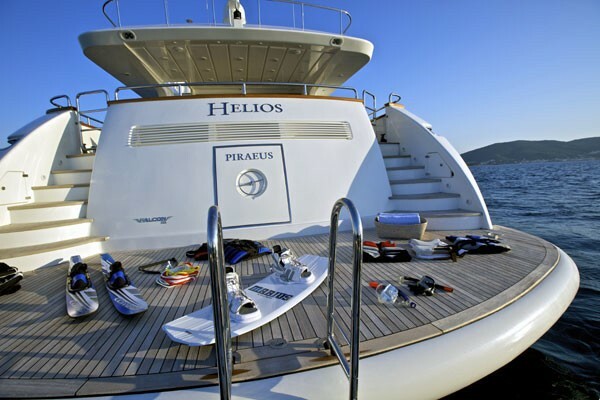 Motor Yacht HELIOS is a 2010 Falcon 115’ (35.5 M 116.5 ft LOA) superyacht which is available for luxury yacht charters in Turkey and Greece. 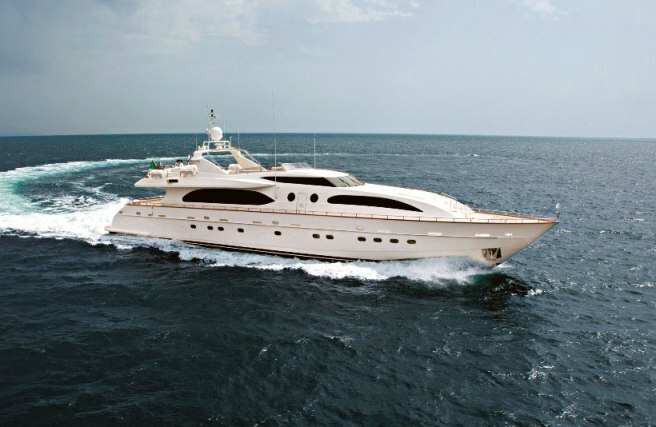 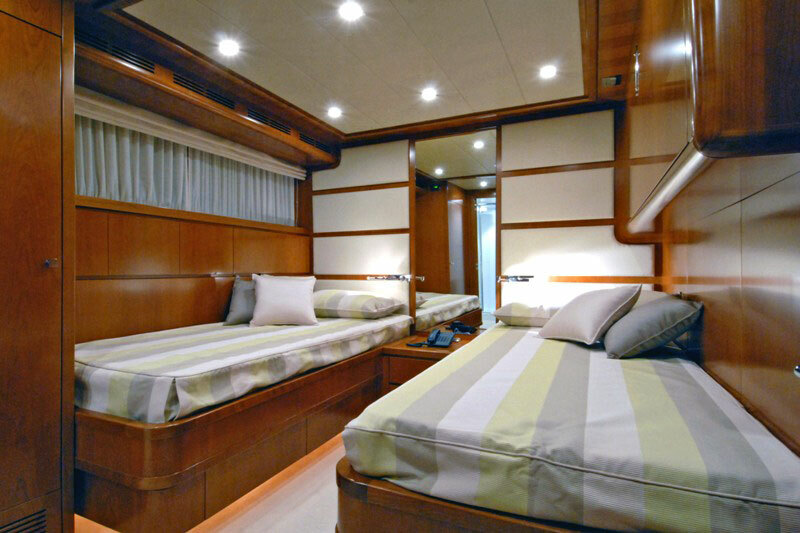 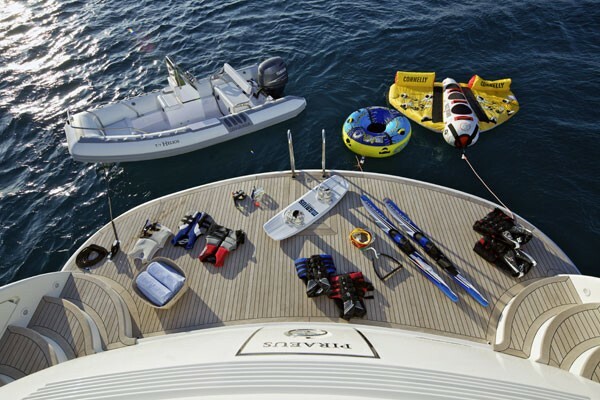 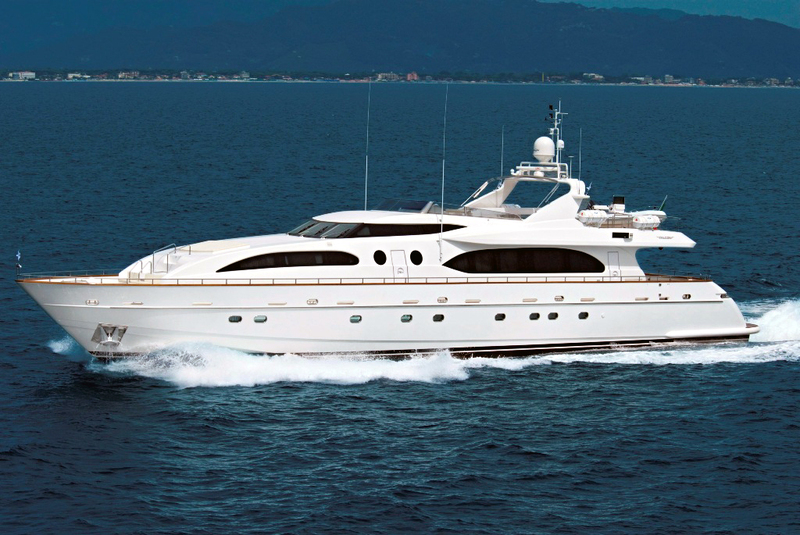 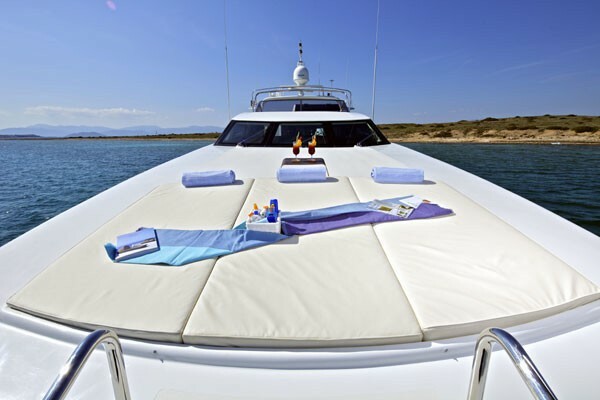 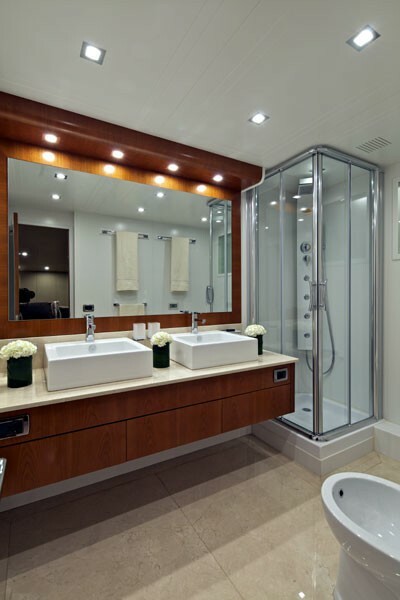 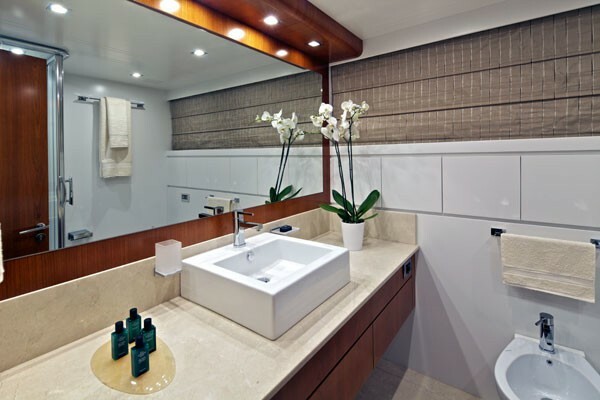 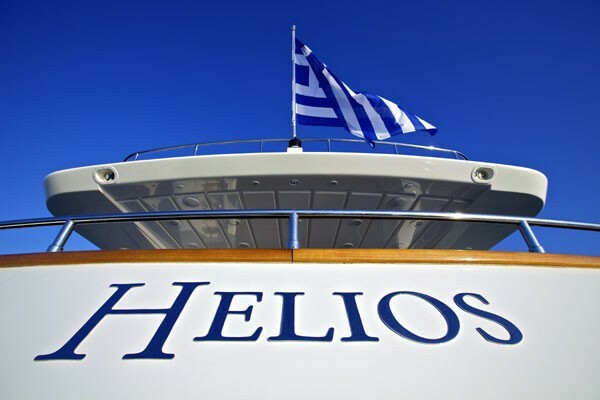 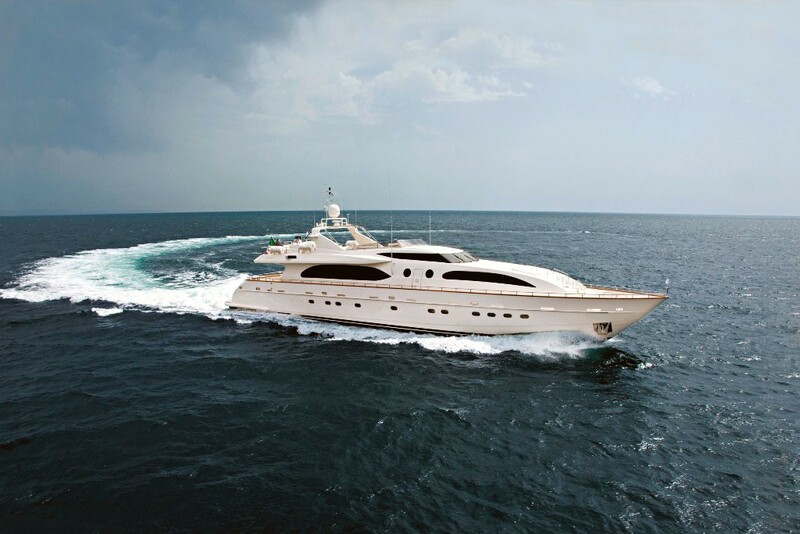 With 6 professional crewmembers luxury yacht HELIOS is able to pamper up to 12 lucky guests in 5 cabins. 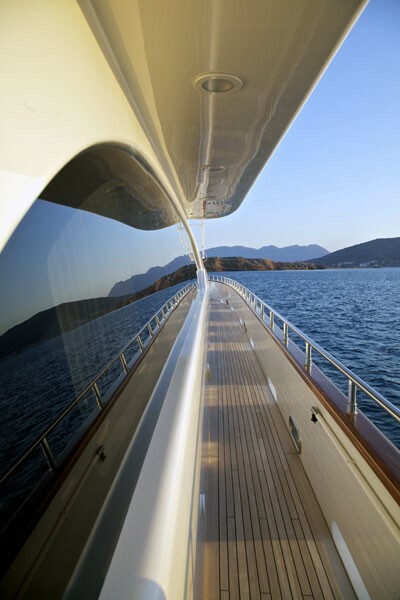 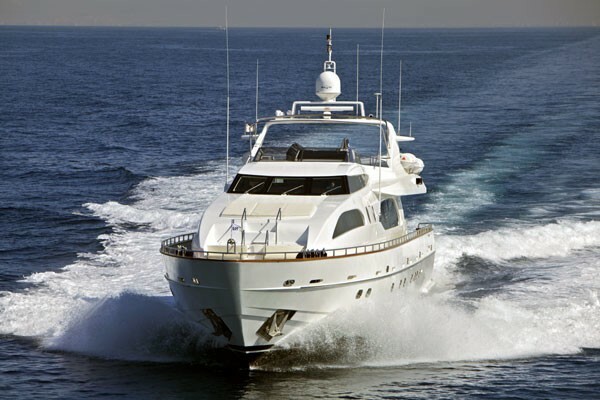 A cruising speed of over 20 knots means you can visit many highlights easily and quickly. 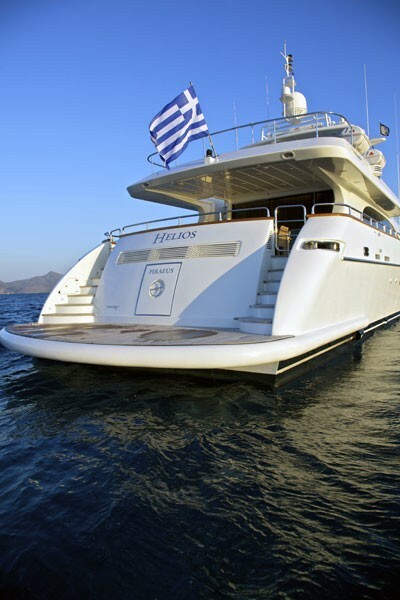 Equipped with a stylish Italian interior, various water toys, and the requisite yachting comforts HELIOS makes for a fantastic Eastern Mediterranean yacht charter. 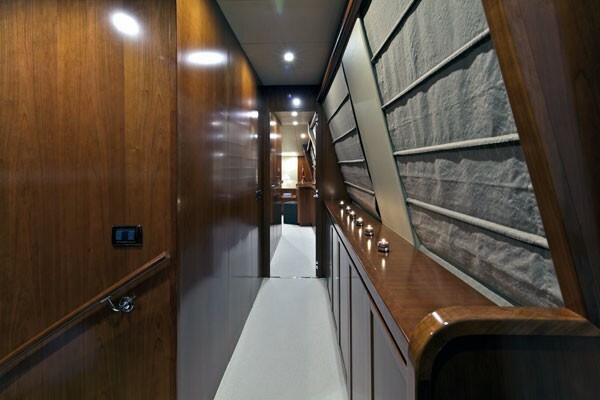 The Falcon 115’s is the largest yacht and the flagship in the Falcon range of boats. 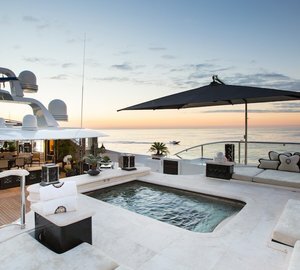 Accordingly, this superyacht displays all the careful craftsmanship of the Falcon shipbuilders as well as a love for the fine finishing and detail refined in years of design. 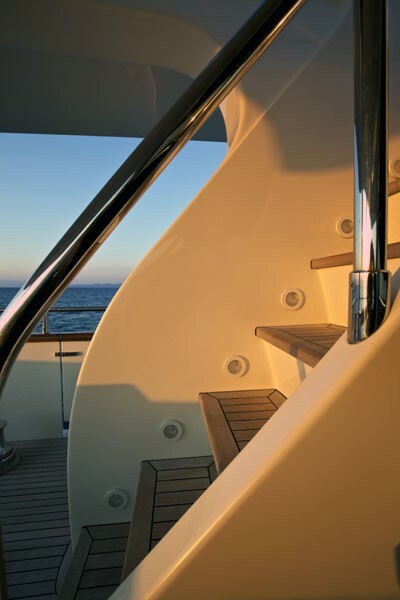 The most sophisticated technology is also utilised in the design and construction of the Falcon 115 private yacht. 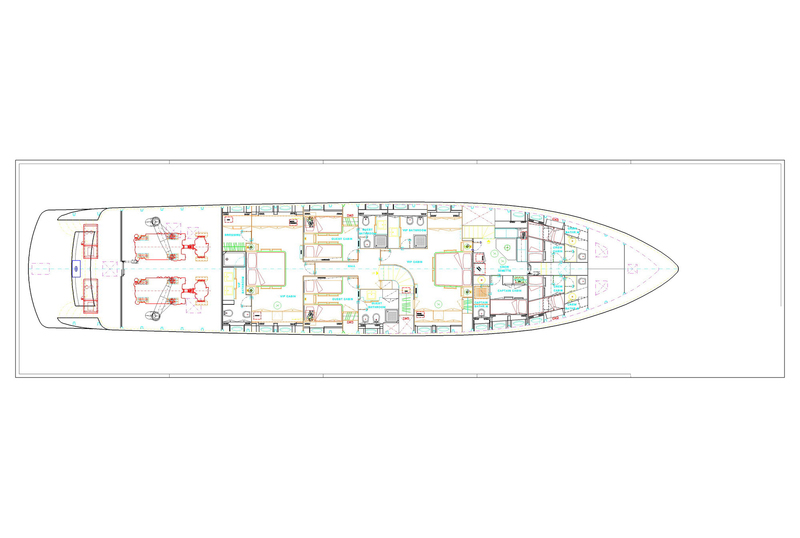 Comfort and space are the highlights of the Falcon 115’s with her 35.50 m in length and 7.30 m in beam, the model guarantees surprising space and versatility where the client can have all the pleasure of personalising and embellishing all the areas. 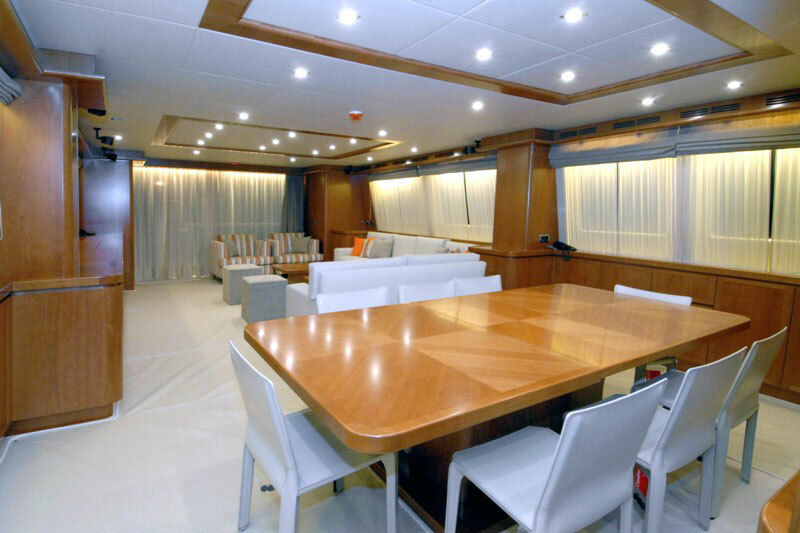 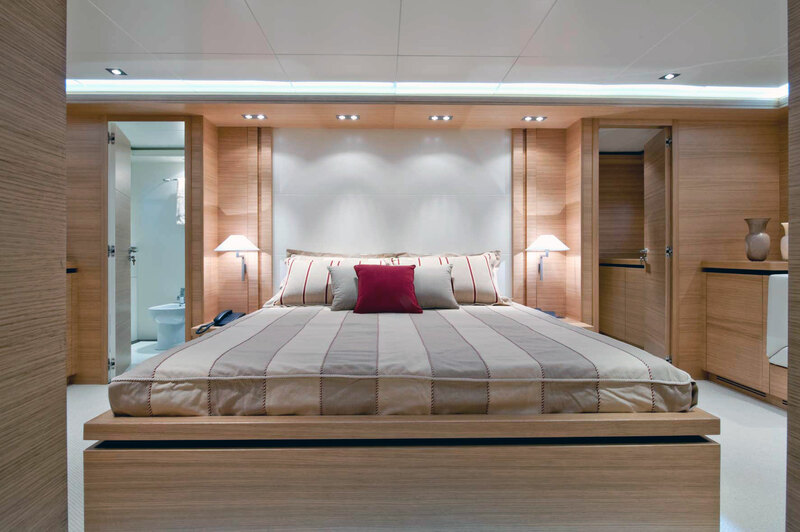 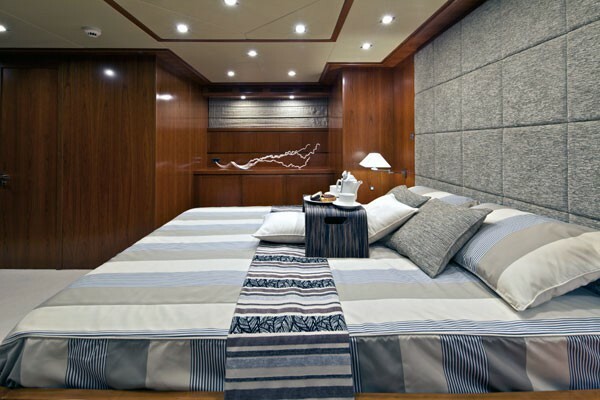 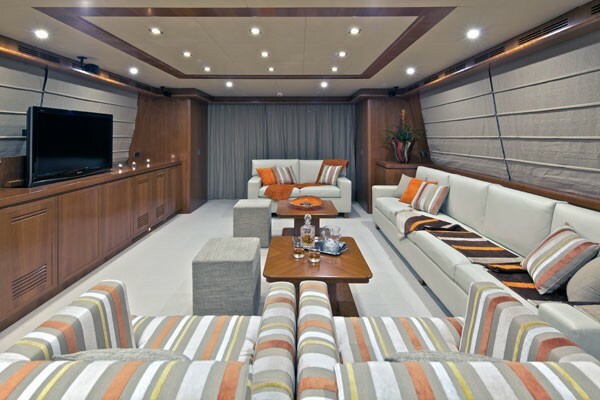 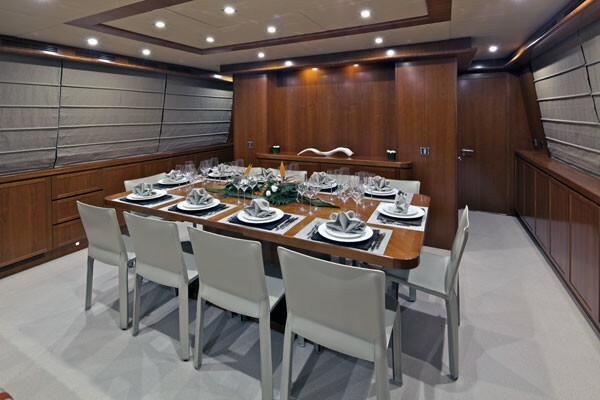 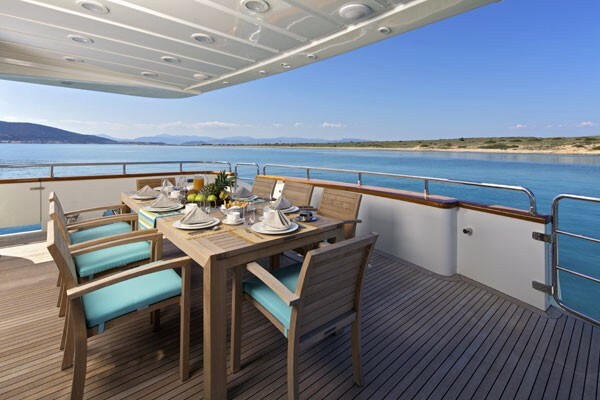 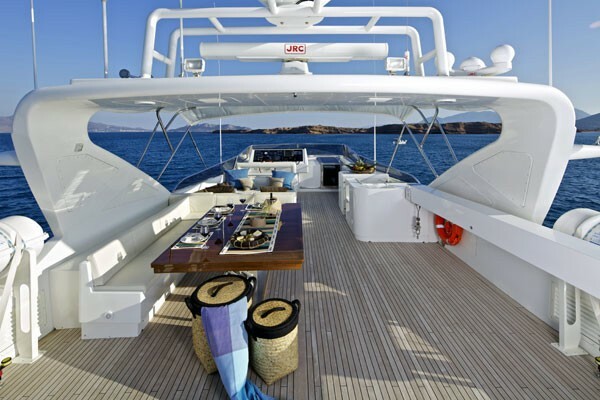 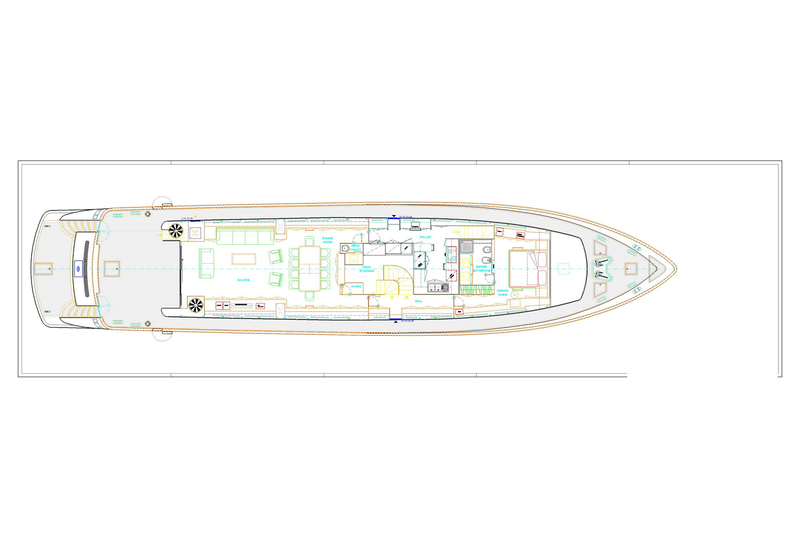 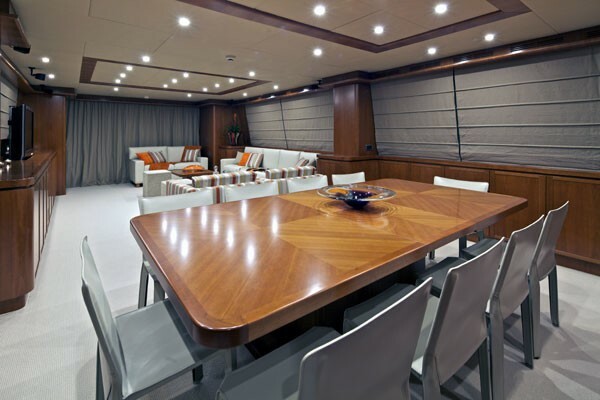 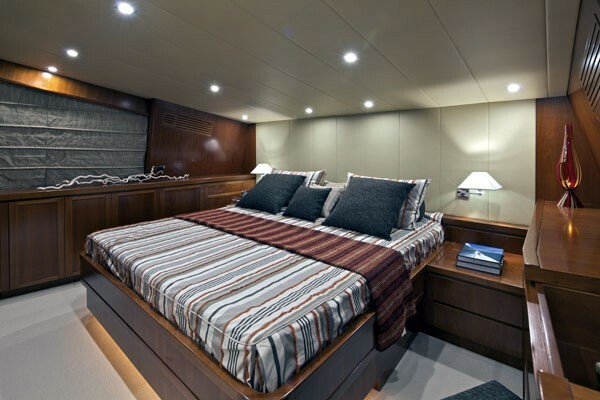 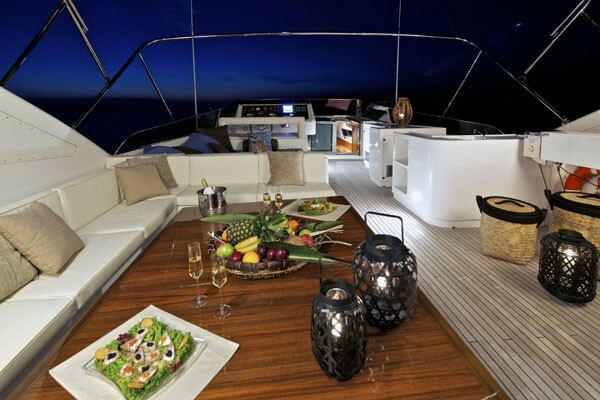 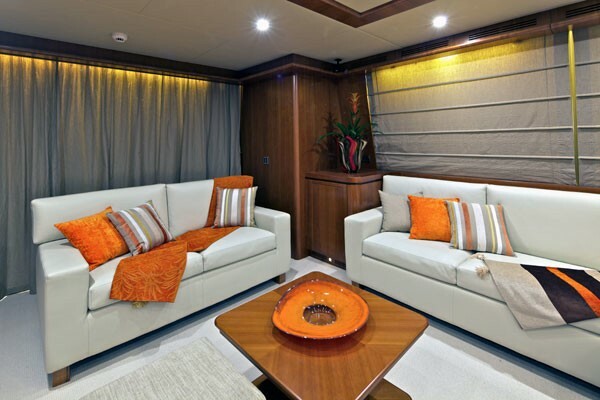 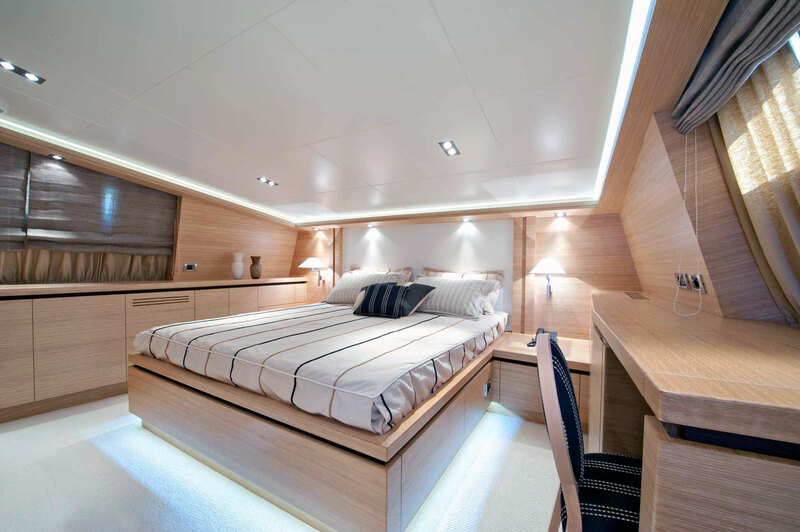 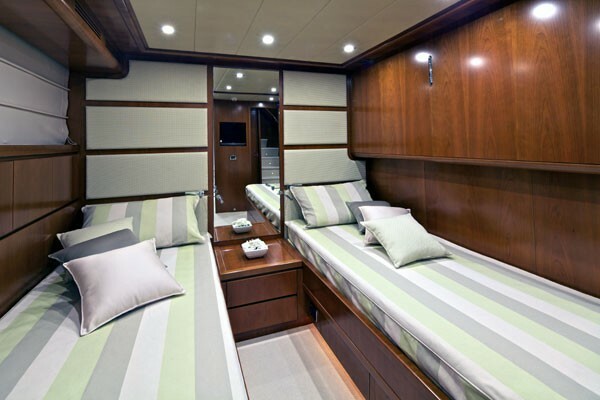 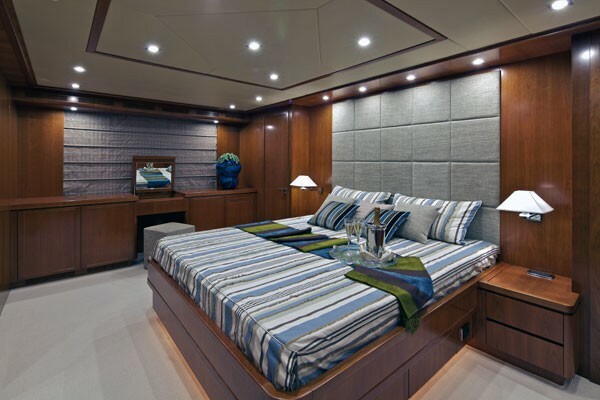 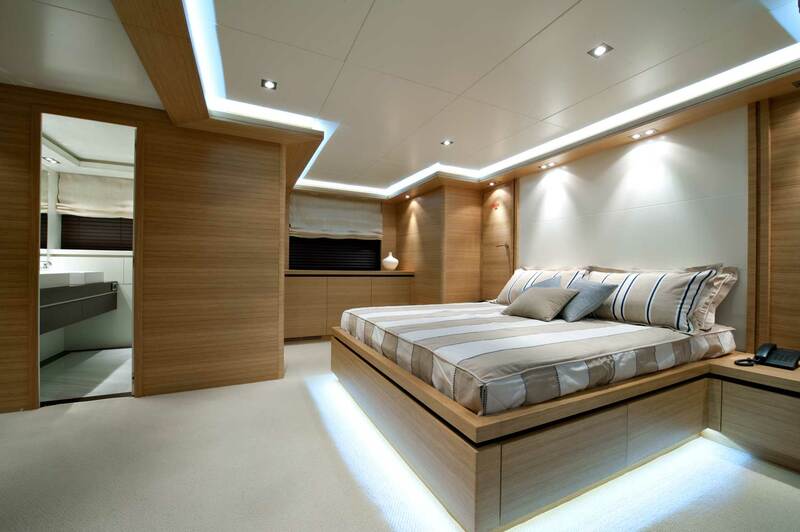 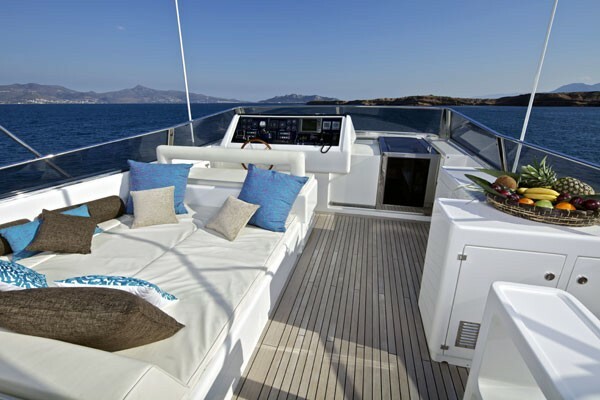 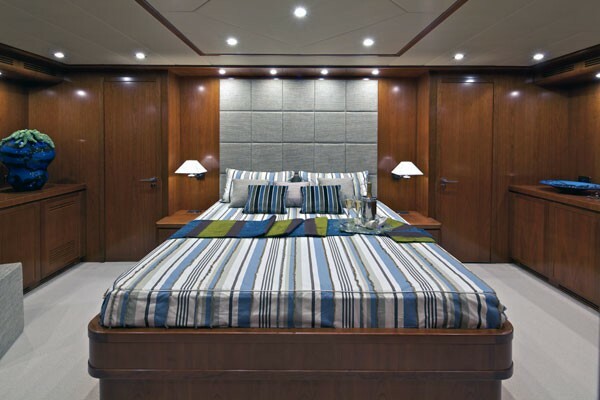 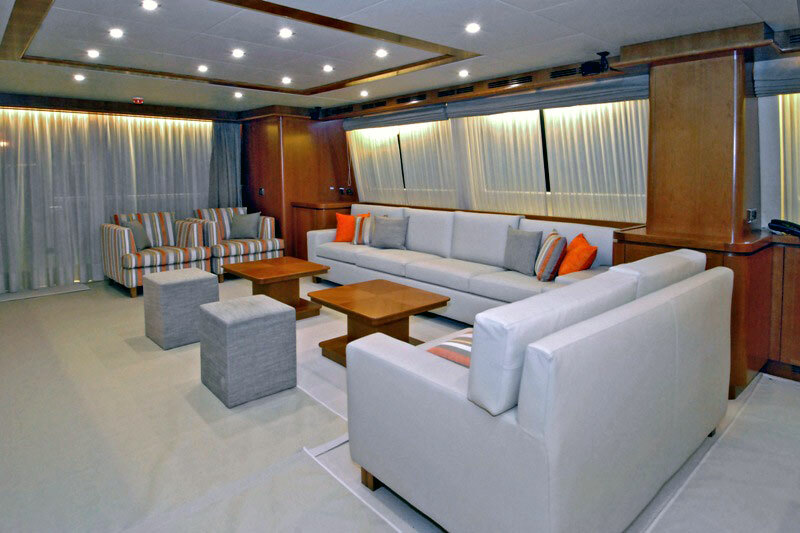 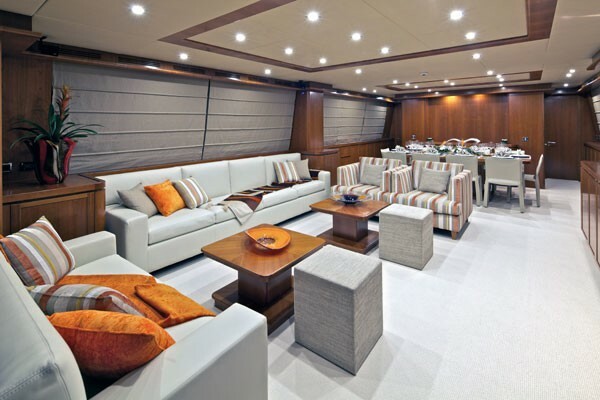 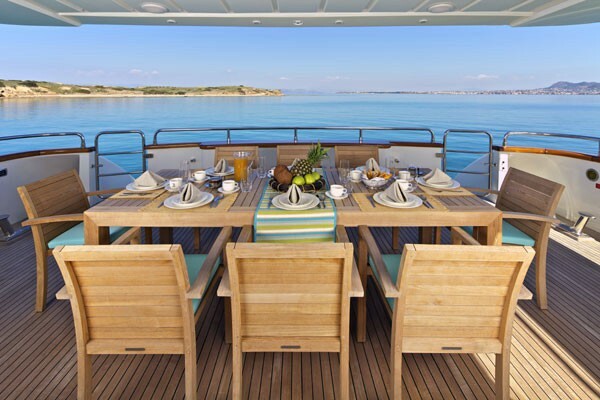 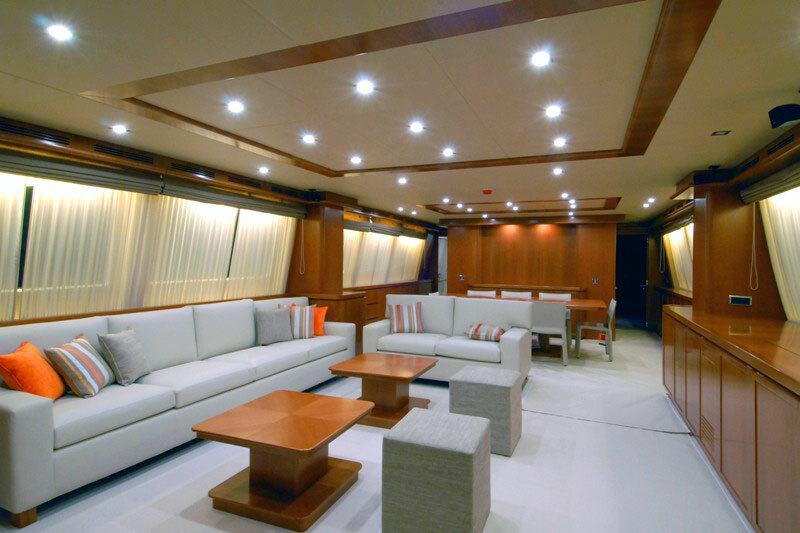 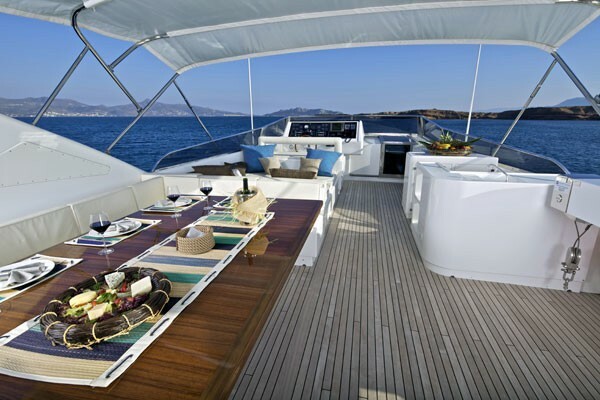 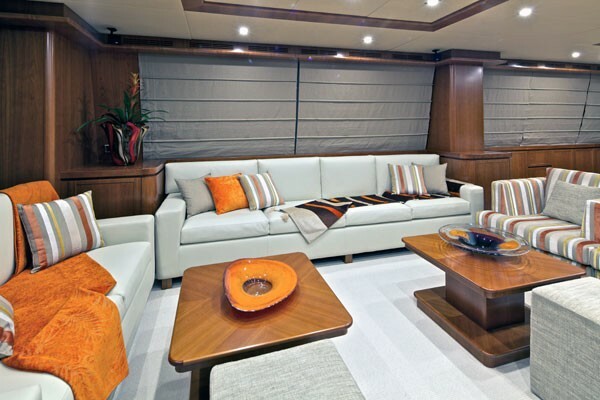 Yacht HELIOS’ saloon is structured as a large “open space” and is divided into living and dining areas, as connected to a well equipped galley on the main deck. 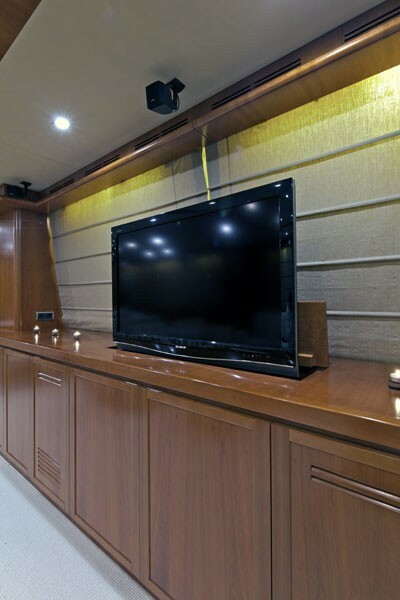 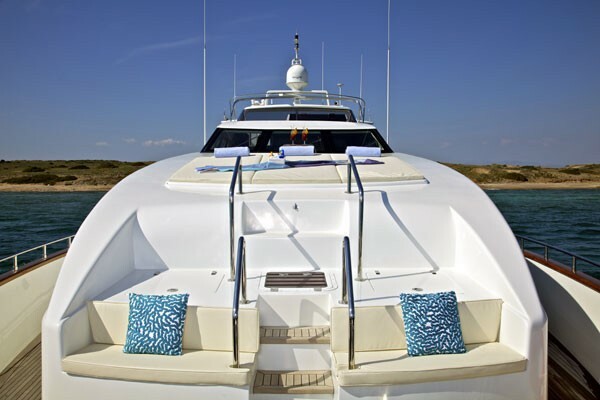 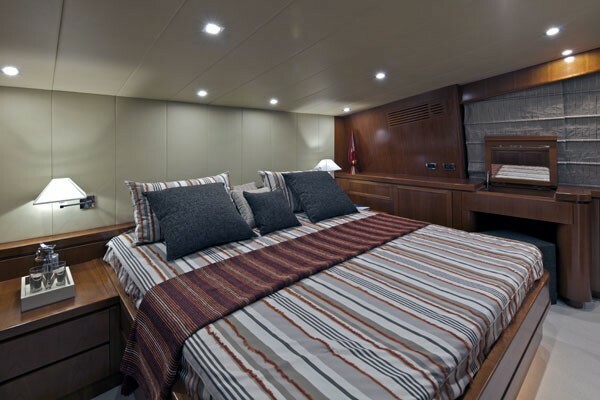 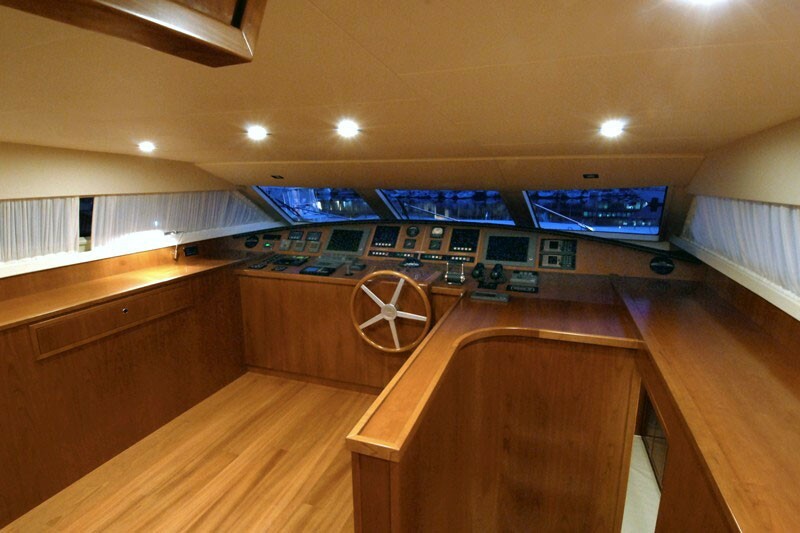 The Falcon’s cabins are prestigious and extremely comfortable and the separate crew area with dinette on the fore lower deck grants privacy and discretion to the owners and their guests. 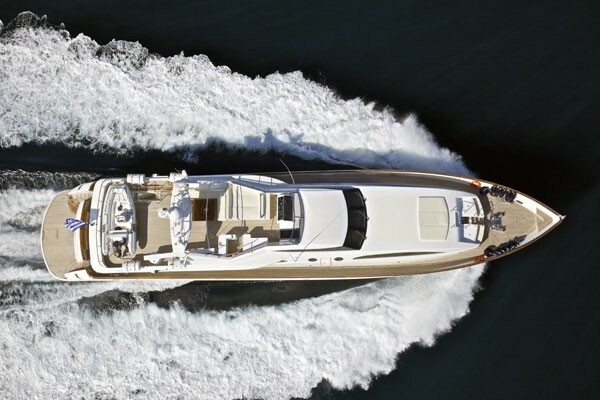 Powered by 2 MTU of 2285 hp each, the Falcon 115’s reaches a maximum speed of 26 knots and a cruising speed of 22 knots at half load, which is good for a charter yacht of this size.